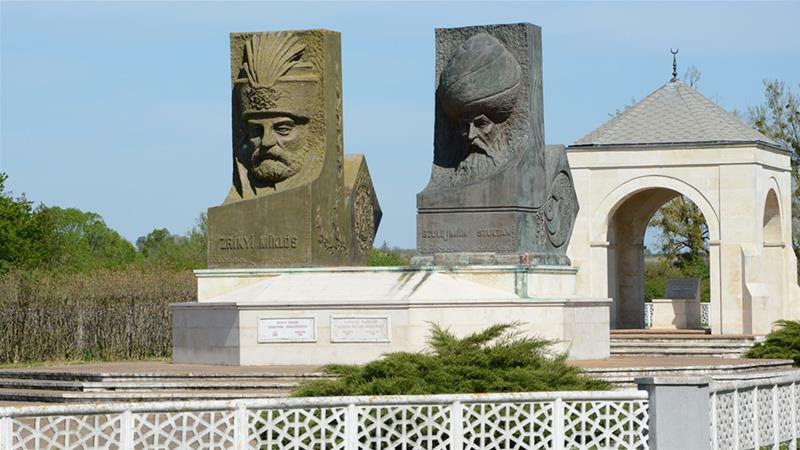 Small Hungarian town hopes discovery of Ottoman sultan’s tomb will bring much needed visitors and revival. 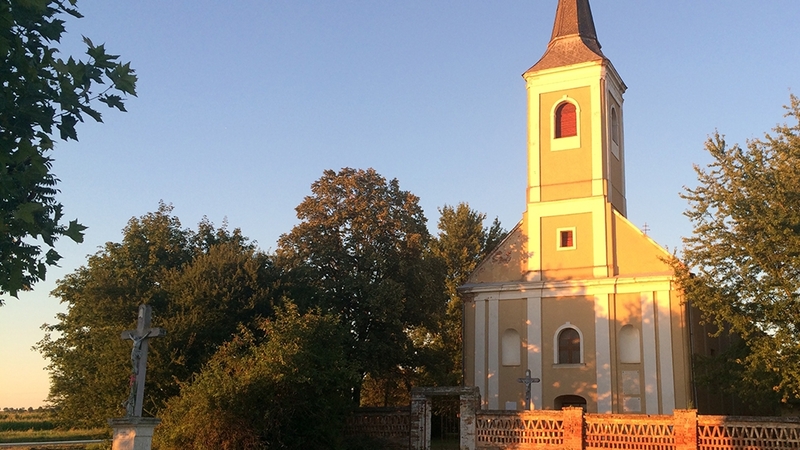 Szigetvar, Hungary – For as long as anyone in Szigetvar can recall, Turbek Hill on the edge of this town in southern Hungary has been a peaceful tangle of orchards and vineyards. But now, Turbek’s earth is yielding the secrets of a turbulent past, and drawing presidents, professors and, potentially, a lucrative stream of pilgrims and tourists to a place where extraordinary events shaped Europe’s history. Hungarian and Turkish researchers working here believe that they have found the tomb of Suleiman the Magnificent, the greatest ruler of the Ottoman Empire, who died at Szigetvar in early September 1566 – almost 450 years ago. Suleiman succumbed to natural causes two months before his 72nd birthday, and only hours before his vast army finally overcame the Habsburg defenders of Szigetvar castle following a brutal and bloody siege. The victory was pyrrhic, however: So heavy were the Ottoman losses that they abandoned their bid to take Vienna, an outcome that later prompted French diplomat Cardinal Richelieu to call Szigetvar “the battle that saved civilisation”. Fearing the reaction of troops to the death of a sultan, who had ruled for four decades, Suleiman’s aides kept his demise secret and smuggled his corpse back to Constantinople for burial at the Suleymaniye Mosque that he had commissioned. But the weather was hot and the road home was long, so Suleiman’s heart and other organs were removed here and, as legend has it, interred in a golden coffin beneath his last encampment. As the Ottomans entrenched their rule here through the 1570s, and a growing number of travellers came to visit Suleiman’s shrine, a mosque, a Dervish cloister and barracks grew up around the site, and it developed into a settlement known as Turbek – derived from the Turkish word “turbe”, which means tomb”. When the Habsburgs retook the area in the 1680s, however, they razed this symbol of Ottoman conquest to the ground, and over subsequent centuries, the location of Suleiman’s tomb became the stuff of rumour, speculation and legend. For Norbert Pap, a professor of geography in the nearby university town of Pecs, neither supposed site rang true. One theory holds that the 18th-century Turbek church now occupies the place where the tomb stood, while another puts it close to where a Hungarian-Turkish Friendship Park was established in 1994 to mark the 500th anniversary of Suleiman’s birth. “When we started this work in 2012, we analysed lots of old sources, looked at land use and local geography, and tried to reconstruct the landscape of that time,” Pap recalled. Contemporary chroniclers said Suleiman’s imperial tent sat on a rise overlooking the battlefield and besieged fortress; the church and park enjoy no such views, and would have been on hotter, marshier ground than Turbek Hill. “People here realised there was something here because when they were planting a tree, they would sometimes hit bricks,” Pap explained, as insects hummed through the flower-strewn vines and orchards that surround his team’s excavations. With state funding from Hungary and Turkey, Pap and his team began digging on the hill, and soon found clear signs of Ottoman ruins. Turkish colleagues share Pap’s certainty and excitement about the site. “The findings of the surveys done before the excavations were so clear that it was like cleaning sands over a partially visible subterranean wreck … We were all joyful for sure,” said Ali Uzay Peker, a professor of architectural history at Ankara’s Middle East Technical University. “Last year, the foundation of a square building was unearthed and identified as the tomb of Suleiman. 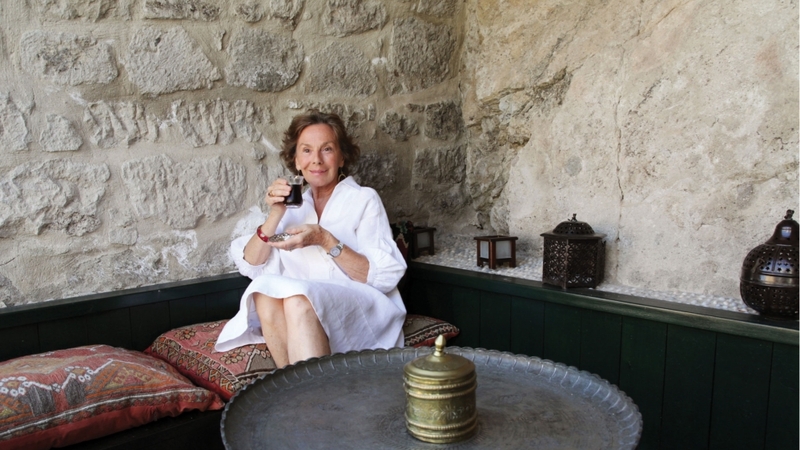 This year, the mosque and tekke [a Dervish cloister] were excavated,” he explained. After taking power in 1520, Suleiman extended Ottoman rule across the Middle East, North Africa and the Balkans. By 1566, his dominions stretched from Mecca to Algiers to most of modern Hungary. At home, his creation of a legal code saw him dubbed “the Lawgiver” or “Legislator”. For Peker, Suleiman is “a symbol of Ottoman magnificence”. “He was a triumphant ruler, and at the same time a great patron of literature, arts and architecture. The age of Suleiman was an apogee in the history of Turkish art. So one can estimate how important this discovery is for the Turks,” he said. Turkish President Recep Tayyip Erdogan – who has been dubbed a “neo-Ottoman”due to his reverence for the nation’s imperial past and desire to extend its geopolitical influence – plans to attend a commemoration in Szigetvar on September 7. 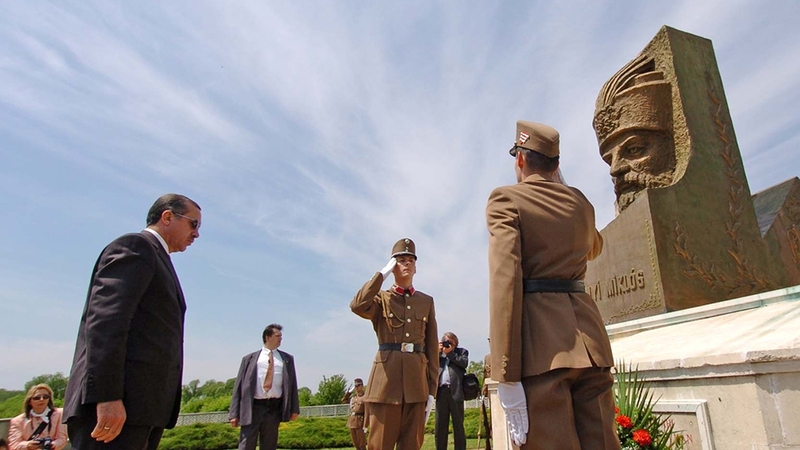 He will join Hungarian and Croatian leaders – the Habsburg forces who defended Szigetvar to the end were mostly Croats – for the climax of the 450th-anniversary events that are both thrilling and daunting for the town of 10,000 people. “Mr Erdogan came here before and brought three helicopters. And then he was only prime minister and there hadn’t just been an attempted coup,” said Robert Fazekas, the vice president of the local county assembly. 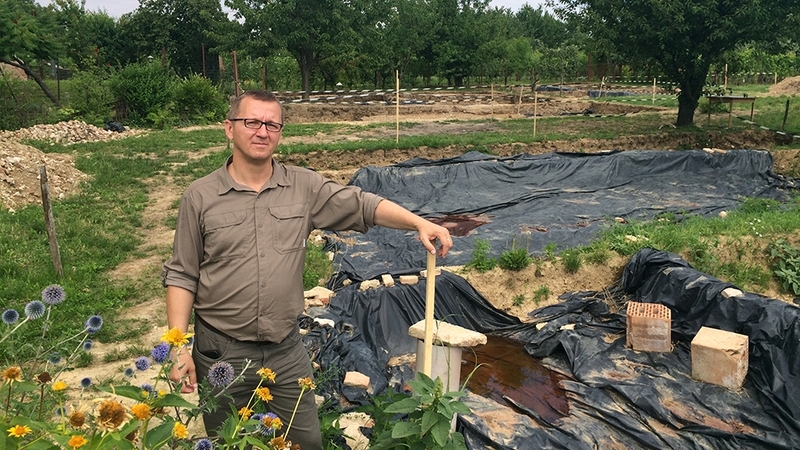 The task of hosting three presidents, their aides and security personnel – as well as possibly tens of thousands of other visitors during the anniversary week – is a far cry from Fazekas’ usual work in the struggling backwater that is Baranya county. “We have a lot of joblessness and no big employers in this area. There’s some work in a canning factory, in auto parts and in agriculture, but many young people go to Western Europe to find a job,” he said. It is unclear, however, how many Turks or other Muslims would be happy to invest in, or even visit, a country whose leader is accused of fomenting Islamophobia. Hungary’s prime minister, Viktor Orban built fences on its southern borders last year – only 30km from Szigetvar – to keep out mostly Muslim refugees whom he has repeatedly called a direct threat to Europe’s security, culture and identity. Orban’s depiction of Ottoman rule as a national catastrophe reflects the standard Hungarian view, even though his Protestant compatriots of the time lived comfortably under the sultans and saw the Catholic Habsburgs as the main enemy. “In general, from the government side, the Suleiman story is very sensitive. We can feel there are concerns about Turbek becoming a kind of Muslim holy place and pilgrimage centre,” said Pap. For all their negative associations with the Ottoman period, many Hungarians are still captivated by the sultan’s court as depicted in “Szulejman”, a lavish Turkish soap opera that is wildly popular here. It cannot hurt the profile or popularity of Pap’s research, then, that two real Ottoman “princesses” recently visited Turbek, where the heart of their glorious ancestor was reputedly buried. Kenize Mourad, a French writer who is a great-granddaughter of Sultan Murad V, and her cousin, Mediha, gave hair samples to researchers to allow DNA matching of any human remains found during excavations. “When they showed us the exact place … I could not resist the emotion, nor suppress my tears. I raised my hands and prayed for Sultan Suleiman – the Legislator, the Magnificent – asking God to help Turkey in her difficult situation,” said Mourad. “Of course, there is very little chance that after 450 years there would be any trace of our ancestor,” she acknowledged. Next Next post: A Brand New Tracking Method That Fits Anybody’s Budget.